When searching out a company to do your pay per click management New York, its important that you choose a firm with a proven track record. We'll be happy to show you our success stories in New York PPC Managment. We'll be happy to showcase our Google Partners Certifications, knowledge with Google Shopping and Dynamic Display Ads. Make sure you choose a NYC PPC company that has the credentials to back it up! Call today to get a free analysis (866) 895-5713. One of our Adwords New York Certified Personnel will be happy to hear about what your trying to accomplish. 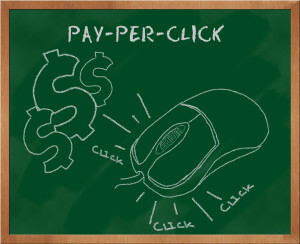 The only sure way of generating instant traffic to your website is using pay per click management (PPC). With PPC, you can launch campaigns and start getting traffic and sales in minutes. This however sounds easy when said than done. Setting up a PPC campaign will not bring the traffic and sales you are expecting if you do not have your campaigns set right. To set up a successful campaign, you need to understand your target audience and what you are looking to achieve. 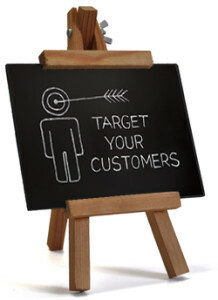 Your offer should be relevant to the people that you will be targeting. Otherwise, you can get lots of traffic but not see any conversions. An expert PPC company in New York can help you set up your campaigns correctly. The first stage to a successful PPC campaign is identifying your target prospects, what they want and how they search for the information, product or service you are providing. Thus, you need to do keyword research to identify the keywords that you should bid on. i) Keyword intent. What is someone who searches for that particular keyword looking for? Are they looking to buy or get something for free? If users have to buy your offer, you do not want to bid on keywords that contain the word “free”. ii) Number of searches. How many people are likely to be searching for the keyword you want to target every day? This factor is important to consider especially if your aim of setting up a PPC campaign New York is to drive traffic to your website. If you target keywords with a low number of daily searches, expect low traffic. iii) Bids competition. Check the amount that the top websites are bidding for the particular keywords you want to target. Essentially, you want your ad to appear on the top two pages of Google for the various keywords you are bidding. You will have to pay more per click for keywords with high bid competition. Getting Pay Per Click Management New York and Using a Certified Google Partners Company to do it put's your business ahead of the game. iv) Negative keywords. Know which keywords to exclude in your keyword groups. Blanket bidding can deplete your budget fast and result to poor ROI. Set your campaigns not to be shown to users that include various target negative keywords in their searches. You should know your audience well to effectively reach them with your ad. Typically, you should know demographics like their age, gender, geographical location, interests, and social habits. The more tailored your PPC campaign is, the greater your chances of getting a positive ROI. Your audience’s demographics should guide you on the geographic locations to target your ads to be shown. For example, local merchants may want to target only customers from particular neighborhoods or cities. There is no reason why a garage in Houston should set up a PPC ad to users all across the US. When it comes to timing, find out when your target audience is in front of their computers so that your ads can be served then. There are some days when ad responses fare better than others. This also applies to time. For example, most people in white collar businesses are on their computers early in the mornings and during lunch breaks. You may want your ads to be served during these times for maximum reach. Make sure you factor in the time zones of your target users to get the most out of your ad dollars. After your campaign goes live, you need to watch and optimize it for the best performance. You want to see the keywords that are bringing traffic and which ones do not lead to good results. Apart from this, you should check the best times to serve your ads so that you can minimize your costs and improve your results. A team with Certified Google Adwords professionals can help you optimize and manage your campaigns for the best returns. When you work with us, you have a solid team behind you that has years of experience in setting up and managing multiple campaigns. Our Adwords certified professionals will not only help you to get your ads showing to the right audience, but also at the least cost per click. We will continuously monitor your campaigns while checking the competition to ensure we are not over bidding but yet getting qualified leads to your offers. We use various strategies such as in-depth keyword research to uncover hidden gems that are likely to result into conversions. Using our in-house proprietary tools, we also uncover profitable long tail keywords that your competition may not be bidding on. With these profitable keywords, you can get high quality leads at pennies per click. Setting up a PPC campaign is not difficult. The challenge, however, is setting up a profitable campaign. Our team will set up your campaign with your long term goals in mind, ensuring you get results without depleting your marketing budget. We test all campaigns and optimize them for the best performance. Apart from this, we do competition analysis to help you take advantage of PPC opportunities that your competition may not be implementing. Working with our team is an asset to your business as you not only get to generate more leads, but also get the most out of your return on investment. I encourage you to give our team a call today!